Last week I posted a few DIY Mother's Day gift ideas. But, for those who can't quite get around to making something, I have another fabulous idea thats not only sentimental but charming as well...a locket! Last year for Mother's Day my husband gave me a vintage locket with a picture of him holding our little boy when he was first born. It was one of the best gifts I have ever received and I wear it all the time. 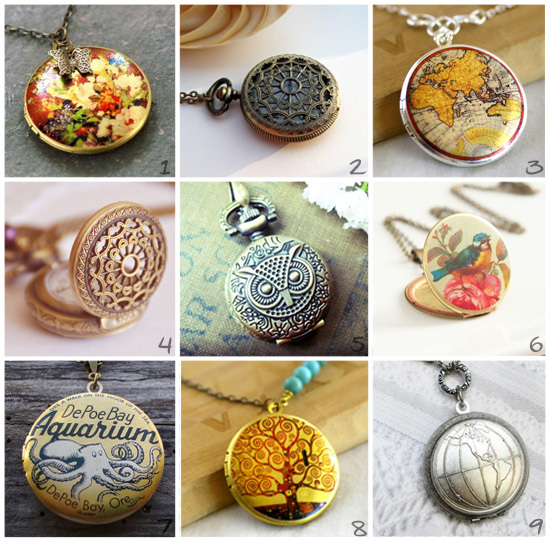 Esty has a wonderful collection of vintage lockets & pocket watches. I have put together a little shopping list of my favorites, all for under $30.